Two amendment Bills increasing Western Australia's maximum work health and safety fines, to well above those for reckless conduct in the harmonised jurisdictions, have passed Parliament, and could take effect within days. The model WHS laws could be amended to increase the focus on psychological health, with the public consultation process for the ongoing review of the laws identifying widespread concerns over this issue and the absence of a "notification trigger" for psychological injuries. WHS consultants, lawyers and occupational hygienists will have an explicit duty to ensure their services don't create health and safety risks at client sites, if recommendations on the development of a harmonised WHS Bill are adopted in Western Australia. > WHS harmonisation one step closer in WA. > NSW regulators issue fatality alerts and prohibition notice. Western Australia has introduced Bills with maximum workplace safety fines exceeding those in the harmonised jurisdictions ($3 million) and Victoria (nearly $3.2 million). The current OSH Act in Western Australia will be amended to increase the maximum fine for gross negligence to nearly $3 million, and increase fines for lower-level offences by more than 800 per cent, the State Government has announced. > Workers nearly hit by flyrock in exclusion zone. 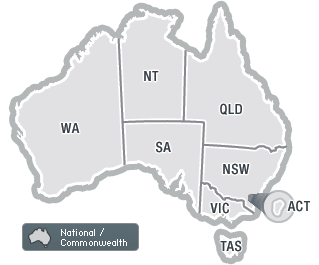 Western Australia has approved the development of a single mirror WHS Bill, dumping plans for a separate Bill for the resources sector and hinting that the laws will be more consistent with the national model Act than previous drafts. > Workers' comp medical panel to slash approval times in NSW.